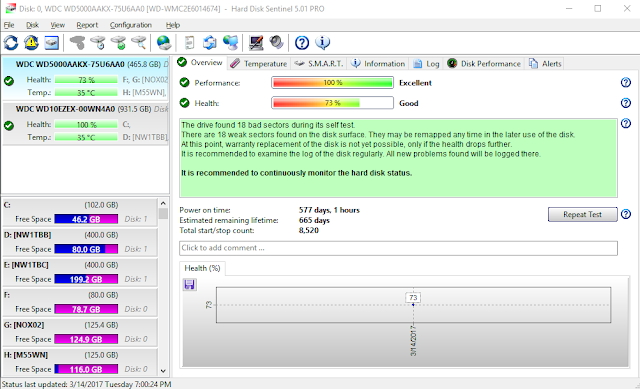 Hard Disk Sentinel pro is a lifetime SSD and HDD monitoring and analysis software. Hard Disk Sentinel find test, diagnose and repair hard disk drive problems, report and display SSD and HDD health, performance degradations and failures. 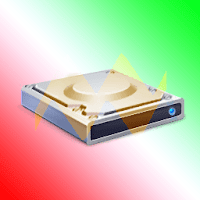 It gives complete textual description, tips and displays/reports the most comprehensive information about the hard disks and solid state disks inside the computer and in external enclosures (USB hard disks / e-SATA hard disks). Many different alerts and report options are available to ensure maximum safety of your valuable data.No need to use separate tools to verify internal hard disks, external hard disks, SSDs, hybrid disk drives (SSHD), disks in RAID arrays as these are all included in a single software. Hard Disk Management - Control Advanced Power Management level and adjust Free Fall Control sensitivity of hard disks to maximise hard disk performance and data safety. Remote Monitoring - Sentinel Professional offers extensive remote monitoring capabilities. Instant S.M.A.R.T. analysing - Communicate with all IDE, Serial ATA, NVMe, SCSI, SAS and most USB hard disk drives, SSD and hybrid drives (SSHD) to detect their status and temperature. Hard Disk Hardware and Software Tests - it is possible to start hardware hard disk self tests. Alerts has wide range of alerts upon different problems.